This loyalty voucher entitles 1 person to 10% off unlimited Car or Bike track day bookings for 10 months. The loyalty card is the perfect gift for someone who regularly attends own vehicle track days. You can order this loyalty discount code as a 10 month voucher. The attendee will then be issued their personalised 10% discount code. We will supply the recipient with a gift card that has a personalised discount code to use each time they book a track day with us. The discount code is unlimited and can be used as many times as the recipient likes within its validity period. Code valid for 10 months. The personalised discount code supplied is only valid for the attendee name on the voucher card, it cannot be used to book anyone else on an event. This includes extra drivers and passengers. The code can be used for booking any UK track day on our website subject to availability. This voucher is non-refundable under any circumstances once the first track day booking has been made, before that the normal refund and cancellation terms apply. The personalised discount code supplied is only valid for the attendee name on the voucher card, it cannot be used to book anyone else on an event. This includes extra drivers and passengers. 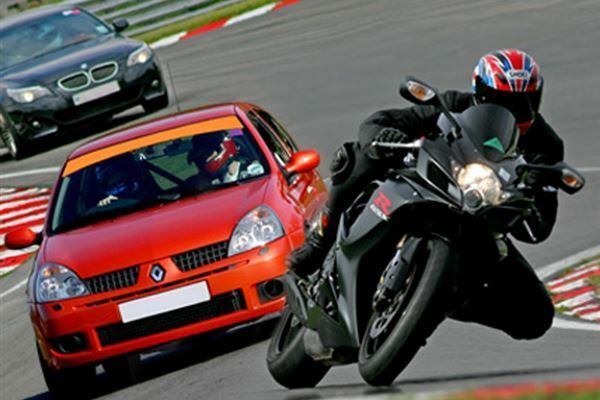 The code can be used to book any UK track day on our website subject to availability. Get behind the wheel of a race-prepared 1300cc Saloon Stock Car and ready yourself for some serious racing action! Drive some of the latest supercars made including the Ferrari 458 Italia, Aston Martin DBS and Lamborghini Aventador at Bruntingthorpe Proving Ground. A driving experience in the Aston Martin DB9, Ferrari 360, Porsche 911 and Lamborghini Gallardo for 3 laps each around Heyford park under the guidance of an expert instructor.